So why enter into this exercise at all? I'm glad to see this follow-up - the "tension between theory and praxis" you mention is exactly what I think I was feeling in the first part, and I'm glad to see it somewhat resolved (well, insofar as it can be) in this piece. Still, I'd say that it's a useful thing to think about, because race is a socially-constructed category, so it's neat to poke at the shoddy workmanship from time to time just to reassure ourselves of its ultimate impermanence. What it comes down to for me, I think, is that Obama will not have experienced racialized oppression in the same way that an Asian/American would have - which is possibly an indication that I need to look to my own "definitions" of racial boundaries, because surely what makes an ethnic group is more than simply a shared experience of oppression - still, it's been thought-provoking in a very good way. To continue; eggsandbakey said race is "a socially constructed category" but everything is a socially constructed category, so guess I don't understand that comment. Also the fact that it is socially constructed doesn't necessarily mean / is related to its permanence. eggs (for short if you will), I agree absolutely with your point about Obama's racialization and the ways that he "will not have expeirenced racialized oppresion in the same way that an Asian/American would have"--that is a really salient point and it relates to Unknown's comments, which is the tension between how people self identify vs. the way that others in society will treat them based on exterior factors, like racial phenotype. Unknown, since it's unclear who you are and since clearly you wish to remain as much of a cipher as possible, I'll say, that I'm not sure where you are coming from with your comments because race being a social construction is a very important point since not everyone has agreed that this is so. In fact, I'm sure there are still people who think race is a matter of blood--that there is an essential essence to being black that is categorically differnent from being white. At any rate, I appreciate the chance to have a conversation about this. I disagree that self ID "isn't really very important" and don't understand what you mean when you write "that determination is not objective"--I also think that if someone, like say an adopted person, grew up in an Asian American household but s/he wasn't Asian American, yet FELT like they were Asian American, then they have the right to say that. Scott Fujita, who looks white but was raised by a Japanese American father is a great case in point. Previously identified as 'Unknown' but not intentionally. Name is Taylor. With no disrespect to Scott Fujita, I would surmise that he is neither Asian or Caucasian, but an 'in between,' which is a 'lost place.' Because his appearance is not Japanese, he would never be accepted by Japanese, and to the degree that his father succeeded in passing on Japanese habits, he will not be accepted as a Caucasian. I don't think you can ever look at less than appearance combined with culture. Caucasians growing up among Japanese makes an intesting case, but the end sproduct I think is still a half who you could say has a foot in both identities but in fact is neither. Taylor, your simplification ignores the complexity of cross-racial upbringings. While I think you have points to engage with, my biggest reaction is the impression I have that you seem more interested in labeling the experiences of interracial people yourself than exploring their personal experiences curiously and with an open mind. When someone "no disrespect"s me and then proceeds to tell me who I am or how I feel, well, they were just lying. Jared- I would agree with you that a disclaimer re "no disrespect' can then be followed by 'disrespect.' At the same time, to express an opinion or try to make a point about another's experience is not in-its-self a dissing. I am speaking from my experience, having raised three mixed=race children (all my kids are 'halfs'). As to your statement about "lying,' wouldn't you agree that your heated response with the use of that flane word is more likely to end what might be a fruitful exchange of ideas? Yes, I am calling you on hiding behind "no disrespect" while actually discounting the above points and how, presumably, Fujita identifies. Of course that doesn't feel good, and if you don't want to exchange ideas anymore then it's your prerogative. Your insight about multi-racial people and how they identify is interesting and not at all, in my opinion, without merit. Surely how someone appears affects how others treat them, and it makes sense that this, in turn, affects their behaviour and also how they perceive themselves. All of this just provides further evidence, however, that race is a social construct. Where would the problem, the "not belonging", be if it weren't for people in society making these judgements and deciding that another person "didn't belong"? I am not multi-racial. My identity closely matches the assumptions that others make about my culture, based on my appearance. I don't know what it's like to be multi-racial, but I can empathise somewhat with someone needing to "pick one." Or not. That's what self-identification is about. It was unclear if you were saying that multi-racial people being "neither" was a result of how they should feel about themselves or how society views them. Clearly I believe the former is only properly defined by the individual, and the latter is more open to external discussion (i.e. by you, me, etc.). The author was talking about self-identification, and so I assumed that was what you were talking about, as well. If you want to talk about social perceptions that's cool, but best to be clear. Man am I glad to see that I'm not the only one feeling the frustration of this old race / ethnic system that we have here in America. 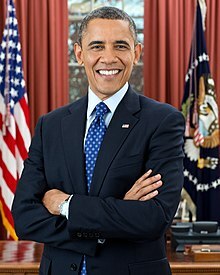 I read your post and I really agree with you, but I also think that President Obama is more than all of the other sub-groups discussed.. I believe him to be of the American race, plain and simple. Unfortunately the American race is divided up into these sub-groupings that only let people identify with part of who they factually and genetically are. Not to mention that the color scheme is ridiculous to say the least. If we can agree that your cultural identity is made up of both genetic heritage including skin color, facial and other physiognomy plus the full set of cultural artifacts (incl. particularly language) with which you grew up, my comment re how you self-ID being not very important was intended to downplay this element in relation to other determinants. I think that historically, in America, we are in a transition period away from what I would term 'traditional' categories. I don't think you can get away with saying that race is simply a social construct. It is rather an organic construct which includes but is much bigger than the social construct part you reference. If this is so, then if, say, President Obama 'decides' to self-ID as a Black or African American, it doesn't much matter in terms of what he actually is in some objective sense. His choice to self-ID is a subjective act, and does not actually make him a Black/African-American, or whatever his choice was. So I would say he is 'passing' for an African-American, but for sure isn't one. And given the prevalent racism in America, it is convenient for his enemies to ID him as African American in the trope sense. Growing up, given his options as a man-in-progress, there really wasn't a good fit, given his father and mother, with their mixed cultural background (just like those check-the-box thingys). So I am saying that regardless of his perceived need to make some ID choice, his solution to this need didn't change what he actually was/is. Racially/culturally he is not Asian or Black, or African, but a mix. American is not a race (Caucasian is, but White is not; skin colors are not races). So to undergo the Americanization process, the bargain has always been that you are welcome, but you have to give up your racial/cultural origins, and dress/talk/look like us (English speaking Caucasians) and even then, we will discriminate against you regarding your inability to completely do that. I believe that Barack Obama is in fact a white man who makes serious use of sun beds and fake tanning lotions.